Zebra Winged Butterfly (Heliconius charitonia) on Spanish Needle Flower. This flower is a common weed but most don’t know that it’s leaves can be eaten and are a source of protein. The butterfly likes it too. 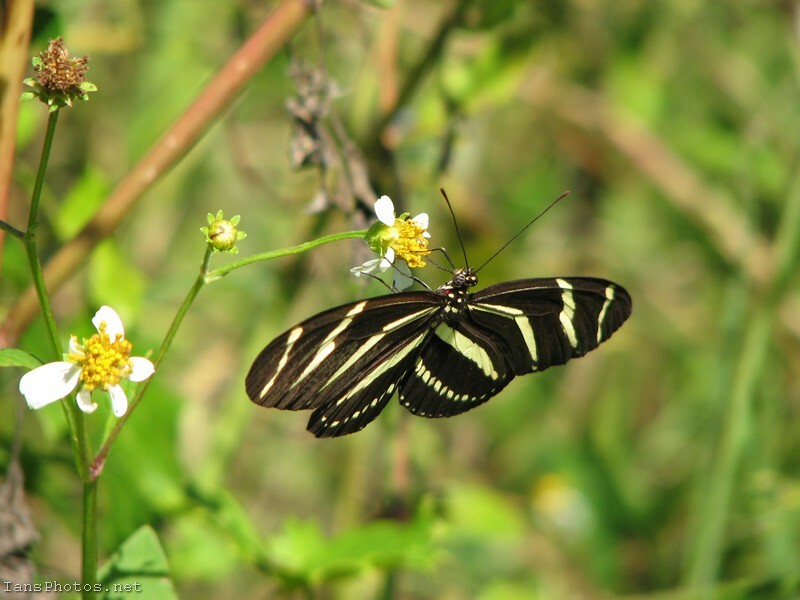 Zebra winged butterflies are a common sight in Florida, maybe because the Spanish needle flower is also common here? This butterfly’s host plant is the passion flower so if there’s passion flower vine nearby you should see this butterfly often.